Carnival and Mardi Gras began this week. A reminder to all who participate: BEWARE OF TWO-FACED LITTLE OLD LADIES. These two are wanted in 18 states for shop-lifting, pick-pocket, and various confidence schemes. 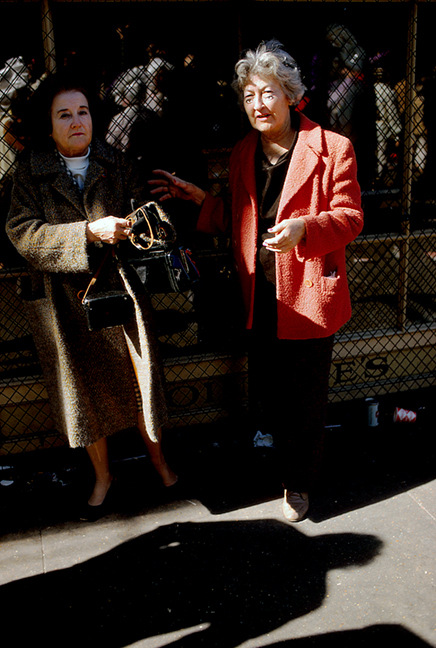 Note the large purses and baggy coats with lots of hidden pockets, and the run in Pat's stocking, evidence of the shoe-string budget they exist on and the tight places they wiggle out of. Their kindly faces, hairdos, make-up, and pleasant demeanor are a calculated disguise to throw victims like you off guard. DO NOT FALL FOR IT. Underneath Pat is a hard-core gambler and Mike likes to drink to excess, smoke cigars, and play a conga-drum.